Not only has the RPG portion been forgotten, the MMO portion has also been forgotten. I have said it before, i will say it again, games like Ultima Online and Dark Age of Camelot were THE mmorpg games, which no current mmorpg’s will ever get close to competing with in pure awesomeness. Long break since last fixes… working on another site also. Still trying to figure out what to use this site for! Rip in PIECES Jay Wilson! Now all there is to do… is to wait. Yesterday was a good gaming day. I decided to reset quest with my Wizard, whom where around Paragon Level 90. Oh, My, God… playing Wizard is like a completely new experience. 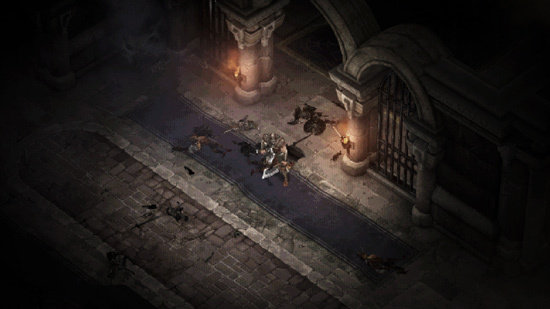 Runing Arcane Orb into Frozen Orb is just a pleasure, feels just like good old Diablo 2. I did not even wanna go the Cold damage route, but alas, i am sold, and will forever (or until i find some epic legendary), be a Frozen Orb Wizard! If you haven’t tried it… DO IT! Demon Hunter has really gotten a buff. I truly enjoy for example Multishot, and Elemental Arrow going the Ice path (Freezing Arrow Diablo 2). The DPS seems insane, and i dont even have any good items yet. Will try level a wizard, to see how it goes. Just FYI, Blessed Hammer will make a “return”! I have been playing this game, and it is quite good. Definaly a step in the right direction from UBI. I did fear they would ruin this lovely franchise, as they kinda did with Heroes of Might & Magic, but they did a good job. So, if you are a fan of the original Might & Magic (6-8), you will most certainly like this new RPG gem. Prepare for the upcoming beta, and release!